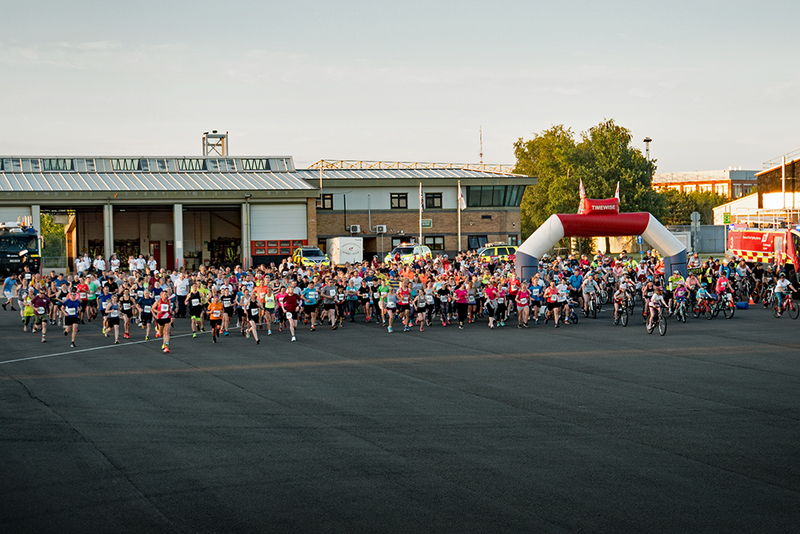 Over 500 participants – the greatest turn out ever and over three times as many people compared to the very first Twilight Runway Challenge in 2012 – ran, cycled, walked and roller skated around TAG Farnborough Airport’s runway and taxiways on Saturday evening as part of the 7th Twilight Runway Challenge. The annual charity event, organised jointly by TAG Farnborough Airport and The Sixth Form College Farnborough, is in aid of Community Matters Partnership Projects (CMPP), which is working to raise the aspirations of young people throughout the local area. Students (past and present) and staff from The Sixth Form College Farnborough as well as employees from TAG Farnborough Airport along with other member companies of CMPP participated in the challenge which since its original launch has raised over £30,000.